In the GPP grid electricity is used to power a motor and pump to hydraulically lift a massive piston in a water-filled vertical shaft in order to store energy. 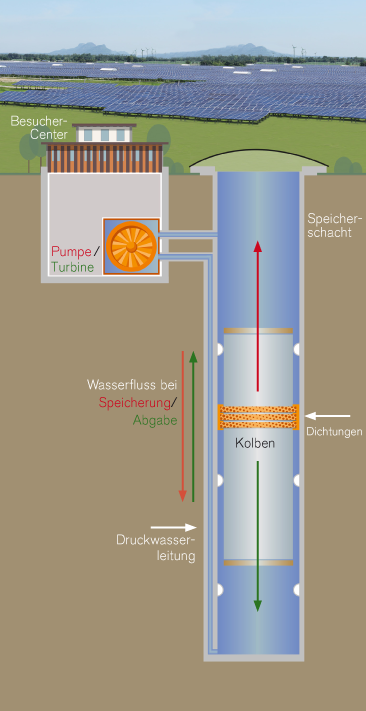 On demand, the piston descends in the vertical shaft and the water passes through a turbine and generator for energy production back onto the grid. GPPs are closed loop systems.